Gosh was a brand that I first discovered back in university. My local Superdrug had a huge counter and I of course took full advantage of this… along with the student discount. 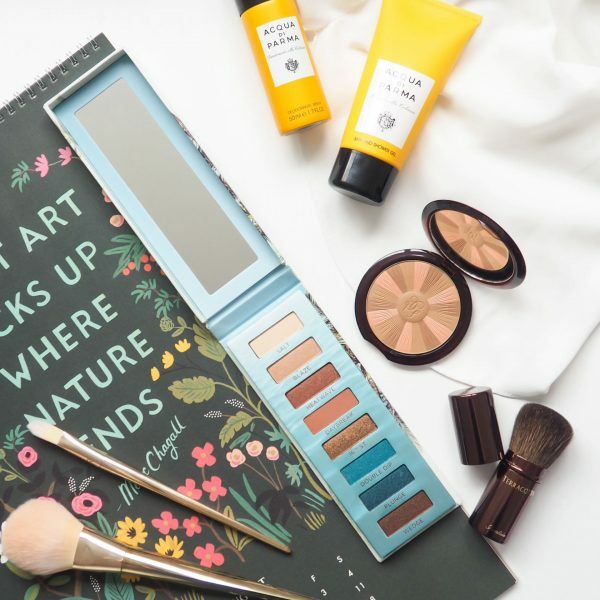 It wasn’t until last summer when I re-visited the brand and I was really impressed with some of their launches at the time, particularly the eye shadow palette featured in this post. Given such a positive experience last year, I was quite excited to try out some of their new launches for spring and summer 2018. There are quite a few products within the new collection, some of which I have to share with you today. Two of the new mascaras I have are quite different to anything I have within my collection. I know that may be hard to believe because how different can a mascara really be? Well, first and foremost I did not own a lash primer until now. Of course, I have heard of these but I have never really been that interested if I am completely honest with you. Having now tried the Gosh Fake IT! Lash Primer*, I am somewhat on the fence, although please bear in mind that this is the only one I have ever tried across any brand. I like the concept, however I found that when used with the Turn Me On Mascara* that it made my lashes clump together a bit more than I would have liked. 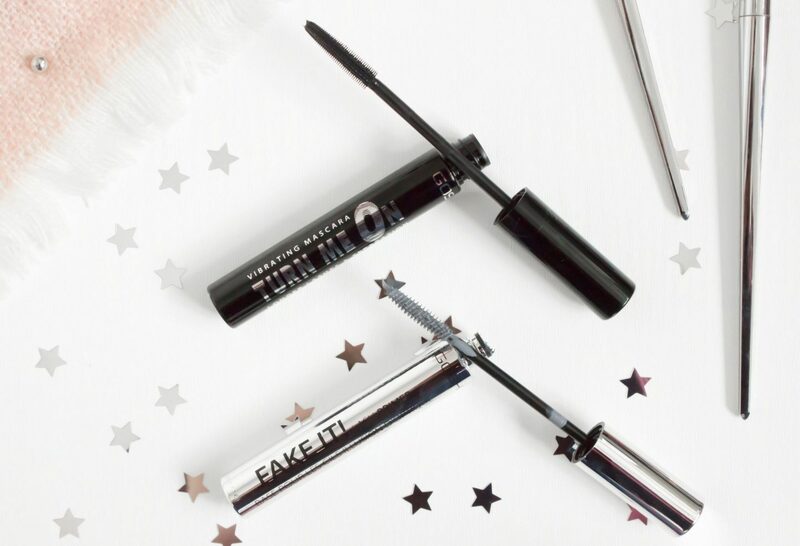 I also thought that the grey colour of the mascara had an impact on the black colour, it didn’t seem as dark as it should have been, however I am aware that the product claims that the grey tone should have no impact on your actual mascara colour when used. I personally felt that it did. I do think that this helped to keep the volume in my lashes for longer though so in some ways this product was a bit of a catch 22 for me. Speaking of the actual mascara, the Turn Me On Mascara* is quite unusual in that it vibrates, in fact, it vibrates on three different settings. To be honest I think the vibration aspect is somewhat unnecessary, I see no benefit to it and do not use it when using the mascara, although I of course have tried it and can report that it feels really weird. I am using this most mornings as i find that it gives a nice result, however, like all mascaras with the plastic tooth comb I cannot help but feel that it is lacking. This is no fault of this particular mascara though, I have this issue with any mascara with the plastic comb as opposed to a bristle brush. What I will say is that it is easy to use, I have experienced no fall out and it separates my lashes fairly well when used alone. Both the lash primer and the mascara have been used in the image below. The GOSH Lip Oils* are perhaps my favourite product from what I have here today. I have the shades Cherry Blossom and Crystal Star and I love them both equally, although in all honesty I would wear one much more than the other. 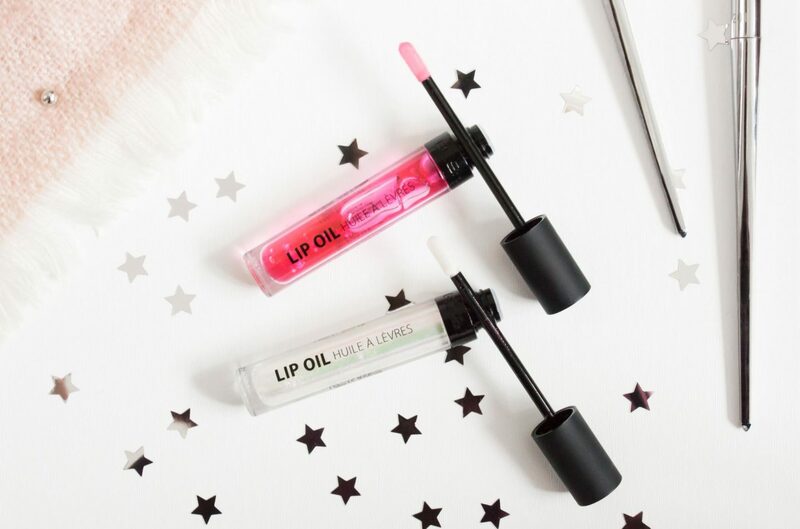 I do think that marketing them as an oil maybe slightly misleading as they are not greasy at oil, they are also not what I would consider to be of an oil texture; they’re more like a lip gloss only without any sticking feeling. They are really easy to wear and I have been using Cherry Blossom religiously since I received this. I am having quite the lip gloss revival of late. They are nourishing whilst on but they do wear off quickly, if you want something with more hydrating properties then I would personally look elsewhere. That being said, these are really lovely and if you are looking for a nice new lip gloss then you should definitely try these. Sticking with lips for a little bit longer, the Gosh Liquid Matte Lips* has a lovely texture and finish, although I must admit that the shade Chinese Rouge is a little too pink for me. 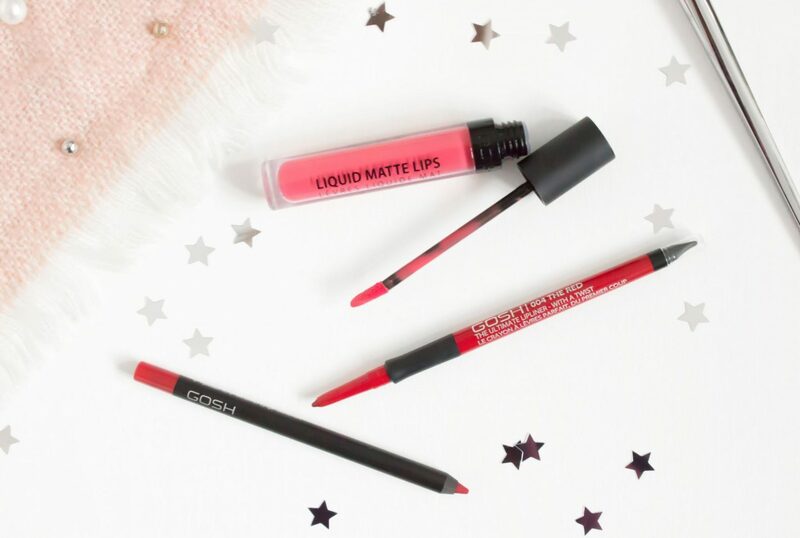 Liquid lipsticks are something which I struggle with in truth, mainly because my lips are constantly dry and therefore the end results are never that great. This is something which I will probably giveaway to a family member as it is just not something I will make use out of. The two lip liners however were hits and I am really impressed with them, I did however find that one was better than the other in terms of longevity though. The Ultimate Lip Liner with a Twist* was the better of the two. I have the red shade which is a shade I don’t reach for very often at all, on a side note the shade Smoothie looks right up my street. The Velvet Touch Lip Liner* is the shade in the image below, applied all over and I love the look of it. It is easy to wear and the colour isn’t super bright and in your face, however I found that after only an hour or so that it had faded quite a lot which generally isn’t the case with a lip liner. 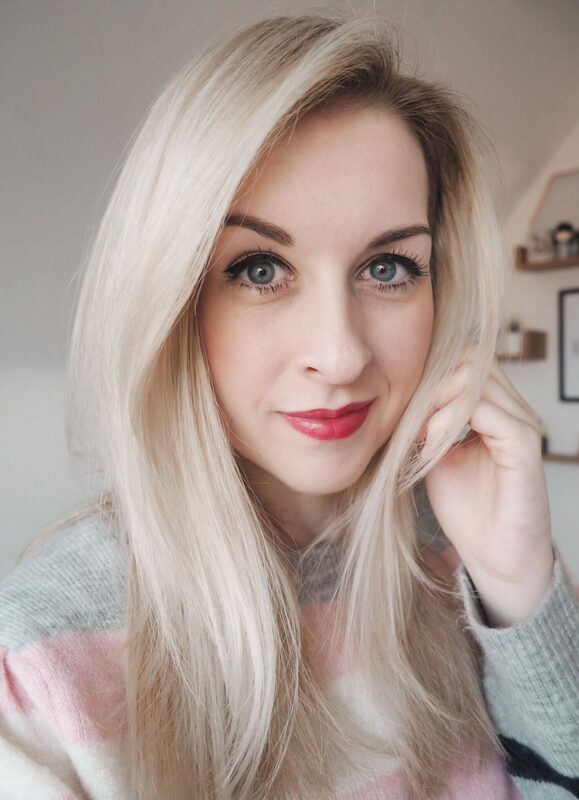 They normally stick put a fair bit longer, having said that I am not opposed to reapplying lipstick/lip products throughout the day so this factor wouldn’t bother me too much. Moving back to eyes, the Gosh Metal Eyes Eyeliner Pencil* is also one of my favourites from the launch. I used to use eyeliner pencils for such a long time and then when I started wearing glasses more often I moved away from it because I thought it made my eyes look smaller. I do want to start wearing it more again as I love a darker, smokier eye, even during the day time so it has been nice to experiment using this pencil for the last few weeks. The pencil itself is great it in that it isn’t black, which helps to make everything a little softer. The texture is creamy and easy to blend which is ideal for using underneath your waterline. 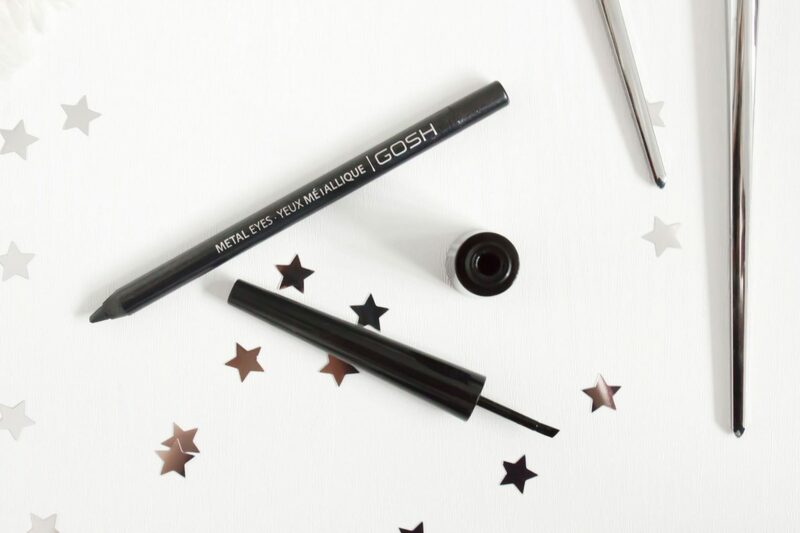 If, however a liquid liner is more up your street then it may be worth checking out the Gosh Slanted Pro Liner*. As you can see in the image above, this has a slanted nib in order to help you create a nice wing, however I must admit that I am struggling with this product. I haven’t quite managed to get the hang of it and my gosh (no pun intended) I have tried. I wasn’t able to find this product on the Superdrug website, however if it pops up in the coming weeks I will add it in. 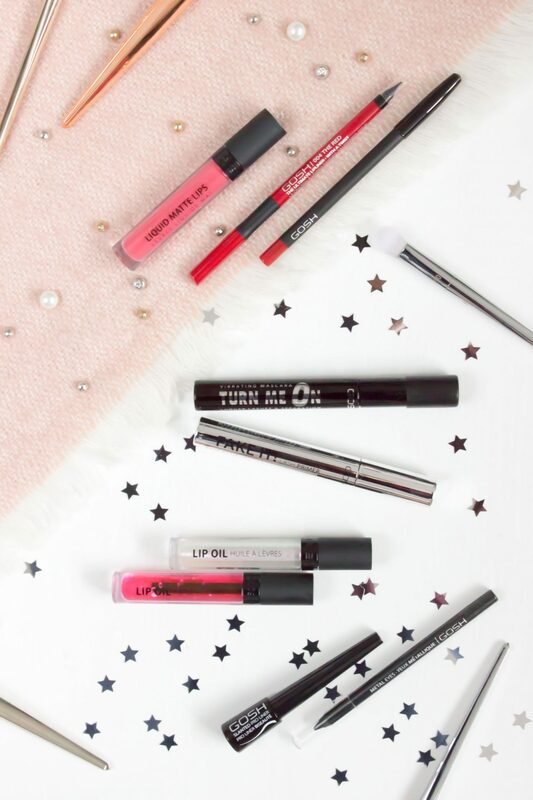 Overall, I loved the lip oils and the lip liners, they are definitely my favourite products from everything I have tried so far. The mascara is ok and I am happy to keep on using it although I will always go back to the bristle brushes in the end. Have you tried any products from Gosh lately?